This is our "mini" version of our best selling spoon. Mini spoons are great to use when you are stirring something in a smaller bowl or pan. Handy and fun to use. Available in Birdseye, Cherry, Maple and Walnut. Each Mini Alyssa is handcrafted and therefore will be unique and vary slightly in size and wood design. 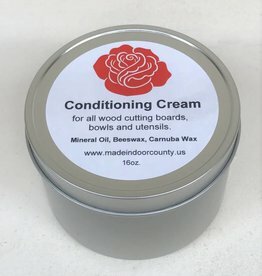 Don't forget Richard Rose Culinary Wood Conditioning Cream to keep your spoons looking amazing!